If you have been put in charge of negotiating an office space lease in Overland Park for your small business, you may be a bit overwhelmed and wondering how to get a good deal for your business. Negotiating a good lease can be crucial in making sure that your company has enough money to finance future growth. 1. Term of your lease. Even if you aren’t sure how long you want to stay in the space, you might consider the relative advantages and disadvantages of longer or shorter leases. For instance, landlords are often more amenable to making concessions for longer-term leases, but if the demand for rental space decreases over time, you could be stuck paying an above-market rental price if you are locked into that longer lease. A safe bet might be negotiating a shorter-term lease (i.e. a year or two) with options to renew (i.e. four two-year renewal options), versus a ten-year lease. 2. Amount of space. If you are comparing a few different spaces, you will want to know the exact usable square footage for each space. This is different (less) than the rentable square footage, which includes common areas such as bathrooms, lobbies, elevators, and public corridors. 3. Permitted use of the rental space. Most leases have a section that discusses how you are permitted to use the leased space. Even if your intentions for the space are initially narrow, try to make this clause as broad as possible to account for the potential growth or change of your business. 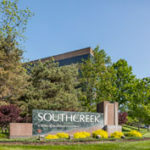 If you think you are ready to begin the negotiations process, give one of Southcreek’s commercial realtors a call at 913-685-4100 to talk to us about available executive suites in Kansas City!